Tamasoma Jyotirgamaya - the eternal philosophy of this verse is to lead people from darkness to light which means empower the people with knowledge and wisdom through education. Education is the liberating force from all forms of ignorance enabling the people to tread out of gloom to the world of enlightenment. 'Sri Shridevi Charitable Trust' was established with a firm commitment to providing good education. 'Shridevi Degree College' was started under the aegis of the trust to meet the challenges of ever transforming world and quench the thirst of education in Science among all section of the society. Excellent education with ethical values instilled for the flowering of personality of the student is our vision. The student in SDC is moulded, metamorphosed, nourished and polished into a full fledged professional. I welcome you and wish your dreams come true with your future filled with joy, happiness and prosperity. 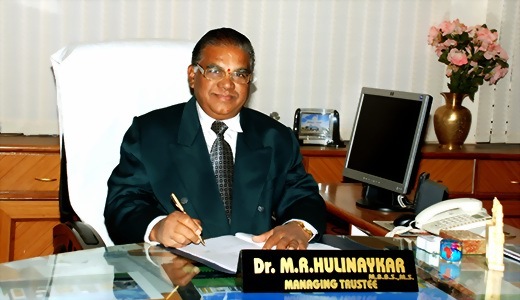 Dr. M. R. HULINAYKAR, MBBS., MS. Member of Legislative Council - Karnataka.